The 21st century consumer is very different from previous generations. We are tech savvy and not only do we expect service quality, we want an experience to go with it. Given our unlimited access to information, we know what the gold standard is, and more importantly, we are open to sharing our experiences on social media and review platforms. Although the travel industry is booming, with over 1.1 billion international global travelers in 2014, I haven’t met one person who has not complained about an experience they have had while traveling. So how can the industry make the experience more pain-free? There are obviously factors that are beyond the control of the industry, such as the weather, but like most other industries, there is room for innovation. To share or not to share: The most obvious change in the last few years in hospitality is the sharing economy. The face of this movement is Airbnb, which is now valued at $25 billion, but there are many other companies that are playing the game, such as Couchsurfing, Feastly, Knok, Vayable or even Wimdu. While there are some regulatory issues around this new consumer model, it is providing accommodation to travelers who may not otherwise be able to afford it. Keep track of your bag: My biggest concern when I travel is losing my suitcase, and being left stranded for a business meeting whilst in sweatpants. But new innovations are changing this. Why, if we have smartphones, can’t we have smart suitcases? Well now we can. Different players are looking at different solutions. While airports like Las Vegas’ McCarran Terminal 3 are starting to attach a radio frequency identification chip to suitcases to ensure they don’t get lost, Bluesmart has created a carry on suitcase which can be controlled and tracked using an app on your phone. Let’s stay connected: We live in a hyperconnected world, where in-flight Wi-Fi was bound to happen – and it did. Although a number of airlines offer internet to passengers, it is not a perfect science and it is most definitely not free. But we have a choice which we didn’t have a few years ago. Airlines are also adding power outlets so that passengers can charge their devices throughout their flights and not arrive at their destination with a “dead” phone. Do it yourself: Today, I barely talk to anyone when I go through the airport. With the available technology, I am able to book my flight online, have my boarding pass on my phone, check in with machines, go through automated clearance gates and even validate my boarding pass to board the plane. These innovations have made navigating airports much more efficient – if you are tech savvy. Still, given that security is front of our minds, gate and security agents are present to make sure travelers can have a seamless experience. Guiding your experience: Guidebooks like Lonely Planet used to be the traveler’s bible – but have now become irrelevant in a world of websites and crowdsourcing sites which provide us with advice and reviews on hotels, tours and restaurants. Traditional online Travel Agencies like Expedia and Priceline have provided alternatives. But new players are on the market too: Peek puts a tour guide in your phone, while HotelTonight is a last minute hotel booking tool. Other players are also thinking differently about the issue, such as AnyRoad, which helps us connect to incredible guides and avoid travel agencies. While these innovations are now the new norm, ten years ago, they would have been unheard of. 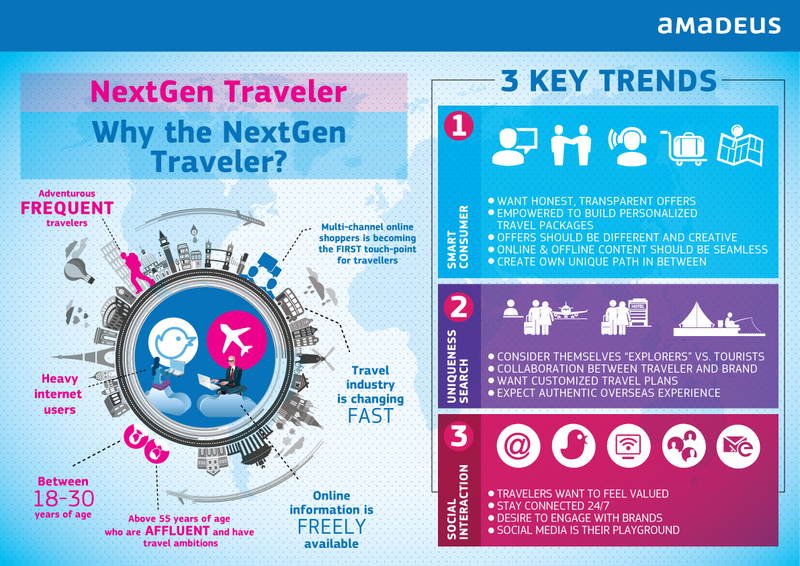 As we look forward into the next decade, what innovations might continue to transform the way we travel?